"Do you know what Accounting Noise is? How about Illiquid? Bricks and Clicks? Any idea what GAAP, LBO, RFP, or SOW stand for? Let's face it: You can't survive the corporate jungle today unless you speak the language. It's time to learn! 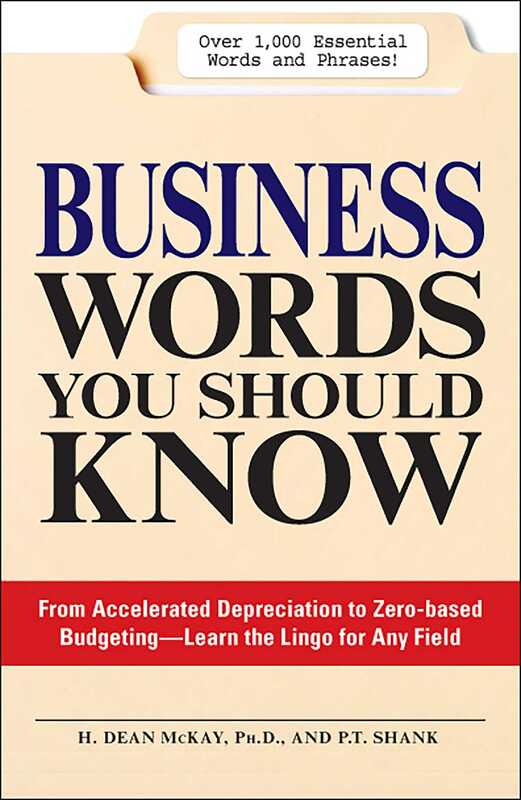 Set up in dictionary style, Business Words You Should Know features not only definitions, but also offers sample sentences and similar terms for each entry, as well as lists of acronyms and common business concepts. Whether you're looking for a job or are already in the thick of today's challenge business environment, you'll speak the language of the pros in no time!